Do you know that LinkedIn is a powerful platform for you to share content? 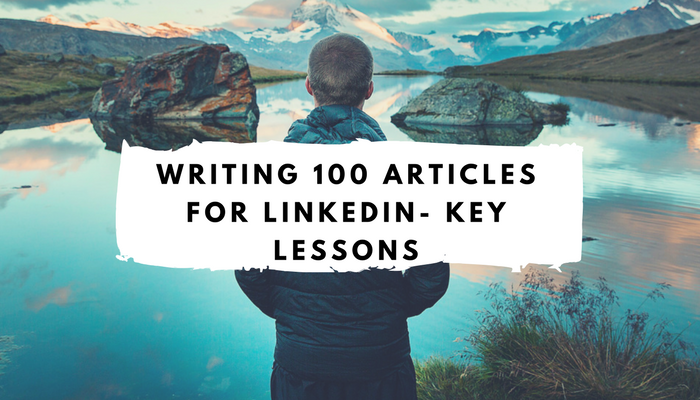 I recently wrote my 100th article- read this article to find out more. Who are other people whose articles I think you will learn from on LinkedIn? What are the main categories that my articles fall into? Please feel free to add your own LinkedIn posts under the article if you’d like to share them with a wider audience! I just came across this platform and so far it sounds good. I’ll be signing up soon and contributing as well. I just started writing on LinkedIn a month ago, and I’m enjoying, the learning, the planning, the writing, the promotion. Thanks for encouraging words! Will keep them in mind as I continue. Thanks for your very kind comment Renoy- I hope you continue to enjoy using LinkedIn!